The Wilton Farmers’ Market is located at 833 U S Rte 2 East in the old Wilton Tannery parking lot across from NAPA Auto Parts every Saturday from 9:00am to 1:00pm, June-September. What can you find at the Farmers Market? Bread, whoopie pies, maple syrup, honey, maple butter, canned goods, pastries, beef, pork, eggs, goat cheese, herbs, greens, scapes, soap, lotion, jewelry, soil…..and MORE as the season continues! 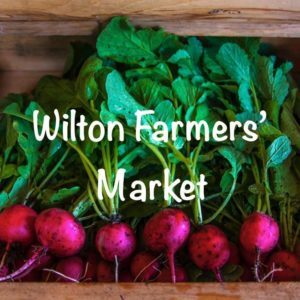 See you Saturday at the Wilton Farmers’ Market!